We bought IFB washing machine in 2005. In the beginning it was in good condition for one month. Later it got repaired for a cockroach reached inside the machine. The man who came to show us the demo could not explain properly all the functions of the machine. We are educated and can read the instructions from the book. But the uneducated people how can they read? Of course, though they are uneducated, they are so rich to buy anything. For such people it is of no use. So, if the company provides efficient service men who can explain, this problem will be solved. When ever we give the complaint, there will be delay in the arrival of the service men. This should be considered as the irregularity. This happened in our case thrice. So, if the company people go through this article, kindly render your good services with excellent servicemen to your customers to increase your sales. Don’t take in otherwise but try to rectify the defect as early as possible to avoid hearing such articles again and again. Try to eliminate the inefficient service men and provide dedicated and hard working service men in your company. And also it is better to explain all the functions of the machine to all the customers. Iam using IFB Washing at about 21years,tearis nocomplaint aboutat aney time.Butnow my machine is under repair.I booked a complint in your servie no and they provided me a ID No 1103368470 on 05.09.2016.After two days one service boy come to my house.He said to me the drum damaged so I will come next day with a new one. But he did not come still this time.What i can do? I have a washing machine front load Senorita Dx 5.5kg.I have been taking AMC regularly since I purchased the washing machine during 2008.The service providers are Franchisee units and never attend to regular maintenance.They only attend if any complaint is lodged.Further the A MC rates are very exorbitant when compared to the casual calls.The IFB should immediately take action to reduce the rates. PERSONS AND TECHNICIANS COULD NOT DO ITS REPAIR. NOW I AM IN A NEW YEAR JANUARY 2016 7TH. IFB is not capable of providing any support services at all. Complaint no. 16941610 for my front loading washing machine was booked on 24th Nov 2015 but till today(i.e. 7th Dec) no response from you. your call center has no clue every time they give a reply that your complaint has been escalated. . Careless Team of IFB . pathetic support. on 5th Dec your call center gave me a no. of Mr Manoj (9718086138), after multiple attempts he picked my call & told me that engineer Mr Sunil will visit today (i.e. 5th Dec) as engineer was on long leaves. nobody turned up on 5th/6th. since than i have tried atleast 50 times but this person Manoj did not pick my call. I have purchased my IFB washing in 2010, I have also taken AMC regularly from last 3 yrs , last week i have faced a problem & i raised a complaint for the same , there Technician visited the place & told us that a part called "PCB" is not working, when i asked him to replace the part , he told me that it is because of our mishandling & due to Water blockage in the machine that the parts got damaged so i have to pay the charges of this part, i also told him that i have taken the AMC but he still denied to change the part, I told him that i am using this machine from last 5 yrs & this part was not even replaced once, there is no question of mishandling as we are using this machine from last 5 yrs, if we were not properly handling the machine then this part could have damaged much before. I have again talked to the Customer Care from there I got the number of Mr Sidharth & Mr Chanchal, I have spoken to Mr siddharth to my Surprise he was very rude in his behaviour , in the whole conversation i have never felt that i am talking to any customer Service manager,as Mr Siddharth dont even wants to listen to my complaint & was stick to his technician words. Then again i spoken to Mr chanchal & told him the issue , to which he was convince with the problem & agreed to get the part replaced, but when even after his commitment no one has come to change the parts then i called him again today he told me that Mr Siddharth is not agreed on the same & i have to pay the Charges of the part. It seems that either the Company is not ready to give the service to the Customer or is Mr Siddharth who is running the whole show, if he wants then the Customer will get Service & if does not Customer will not get the Service. I had registered my complaint to repair my washing machine in 11.06.2015 vide complaint no. 15772128 and till today 01.07.2015 no action has been initiated though this complaint was informed to Mr. Santosh of IFB bearing cell no. 9379056930. This has happened previous about two months back and it took one month to get washing machine repaired which is till date under warranty. My opinion is that people should not buy IFB product since the after sale service of the company is worst. IFB washing machine service is very worst.they won't turn up even after so many calls.to sort a small issue,they will take atleast a month.so please don't go for IFB products in INDIA. Sincere apologies for the inconvenience caused to you. Please share your contact details so we can further assist you. Alternatively you can also write to us at customerservice@ifbglobal.com along with your contact details and we will help resolve your issue. The after sales service is very worst, once you Lodge your complain it will get resolved after a time period of at least 24 days.. It happens to me many times till my washing machine was within the warranty.. I am from Tirunelveli, the service centre response is very poor. I AM WAITING FOR THREE DAYS TO GET RESPONSE FROM THEM, still yet never attend us. even they have no time to attend our phone calls, they well negligible on attending the reported calls. by: S, Alwin Vethamoni, Advocate, 14-36, Victoriavilla, Main Road, Thuckalay, Kanya kumari Distirct-629175 , Mobile-9443152236. 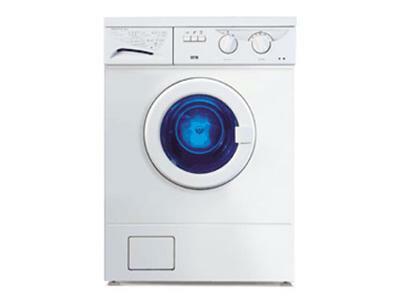 I had purchased a IFB washing machine from M/s Sundar Radios , Cape Road, Nagercoil-629001 on 15/12/2011. Due to the breakdown of the machine during the warranty period I had registered a complaint Ticket No:11286966 dated 15-3-2014. In spite of repeated requests made to your customer care center, the dealer and your authorized area service manager( mobile no-9381146937) no positive response is made and my complaint is not met till date resulting in irreparable hardship and much mental agony, pain and suffering warranting initiation of civil prosecution for breach of contract. If my complaint is not attended forthwith, I would be constrained to initiate necessary legal action in appropriate forums for redressal of my grievance. My ticket no:11146632. washing machine is problem. I call your customer care on 15.01.2014. your person not come and clear the problem. my mechine model no: SENORITA DX5.5KG. SR.no:070896. I have warranty also, still 01.01.2011 to 31.12.2015. machine problem is water come out and the drum is working. Please send to person and clear the problem. Washing machine is good but service is very poor. My machine is down for the last ten days due to bearing failure but till date no action. I purchased IFB washing machine from Mass Marketing Asansol on 15th.Dect'12. Hardly after two-three month of use it started giving problems. I duly lodged a complaint on 4th.Oct'13,complaint no.11595900. Inspite of numerous visit to the dealer and numerous phone calls to customer care,& service centre durgapur; no action has been taken by the dealer or customer care. It is really disgusting and not expected from a reputed manufacturer like IFB. Please note in case you don't attend immediately,I will have no alternative but to go to Consumers Court. Kindly give your immediate attention and rectify the same. I had purchased an IFB washing machine in 2008, but was sparingly used for 1st 1 year. Once built a new house, for easy usage we kept the machine almost 2 feet above the ground, mounted on a concrete slab. It was vibrating too much, and fell down to floor, once operating. (it is not supposed to vibrate and move around). Informed IFBcare at Perumbavoor, taken for repair under warranty. 5-6 months it was with them, reported to IFB customer care and Manager at Ernakulam (Kaloor) and made too many follow ups to get back the machine. Finally returned to me, with a changed front pannel (not of same model), and the purpose of washing machine was not served. Further I never washed any of my cloths, due to poor washing. In my experience I can say that The IFB washing machines are very good, but the services are pathetic. These are the areas, where IFB needs to improve these services. If they do not improve the services, I am sure that the brand name will go down wihin a short period of time. 1. They should be able to address the complaints within the same day instead of curent 48 hours. 2. All Technicians should be technically skilled ehough to handle the customer complaints. 3. Service should 7 days in a week instead of the current 6 of week. For example Sunday is the day most of the customers are at home but there is no engineers are available on that day. 4. All technicians need to be trained to handle their customers properly. I have lodged a compliant on 20th June 2013 in the customer care for the IFB washing machine Sonarita Plus,after several reminder,representative visited the site and gave his recommendation to replace the tumbler.He informed us that he would come next day and repair.As on date I have not got any response from the representative or from the company.This shows how much they care for the customer.I hope that I get a better response from the company. Thank you for your feedback. We are glad your problem is resolved and you are satisfied. Assuring you our best services in future. In future for any concerns, please call our customer care numbers 18604255678(BSNL/MTNL) or 39004321 (other providers) or visit our website www.ifbappliances.com . Alternatively, you can also write to us at customerservice@ifbglobal.com along with your contact details and we will help resolve your issue. My customer ID is 3545020 and I had purchased a washing machine in Bangalore in Sep 2012. On 06 Jun 13, I had complained that water leakage is taking place in the outlet pipe. One customer care executive came, checked and replaced the outlet pipe and went. However, the problem was not solved as a pipe inside the machine was damaged. I again complained on 09 Jun 13 vide complaint No 10913821. Another customer care executive by the name ' Mr Chetan' had come on 10 Jun, checked and stated that one inside pipe needed to be replaced and that he will come on 11 Jun and do the needful. However, on 11 Jun when contacted, he stated that the sparepart is not available and asked us to contact customer care. We did the same and were informed that the service agency named ' Deepa Enterprises' was not in possession of the spare part and that the same has been procured from another agency and that the machine will be repaired on 12 Jun 13. Since then we have made enquiries with Mr Chetan. Today morning, he stated that the spare part is with him and he will come to my home by 1 PM and do the needful. However nothing happened till 7 PM. When I called at around 7 PM, the gentleman was very rude and arrogant. His reply was also arrogant and not expected of a service agent. When I told him that I shall complain against your behaviour, he asked me to complain to whomsoever I wished and he does not care. i do not know how an agency responsible for customer service can employ such arrogant and rude staff. I demand that some action be taken to ensure that such behaviour is not repeated in future. My mob No is 7259002626. alt No is 08041138202. It has come to our notice that some people have been posting messages by the display name of "IFB Care", "Customer Service Care" in public forums such as this. Please note that these messages are fake and being posted to tarnish the brand’s image and you are advised to ignore the same. We at “IFB” take full notice of your concern and are constantly driven to resolve your issues at the earliest. In case of any feedback/doubt or complaint, pl call us at 18604255678(BSNL/MTNL) or 39004321 (other providers) or email us at customerservice@ifbglobal.com You can also visit our website www.ifbappliances.com and post your query. I accept the above complaints but u cant blame on customer service u should blame on the technician and company service we customer care service people are the one who lodge your complaints/requests of your machines and forward to certain service allocated to your area..we are just doing because we are trained for that service if we are trained better than knowledge we could have guided you people..every day we handle 1000 of calls an every one blame that its our fault after we followup with the particular franchise if they are not responding what shall we do..its not rude come and handle the calls u will face the actual situation ,,old people will call and they totally blame on us even though we say that we are not the right person to argue we are just doing our duty for your food..we have to take care of your call otherwise our job will be gone we need to maintain quality on calls our calls will be audited if there is any rude behaviour towards the cal we will be terminated from the job ..for the basic salary of 6k we are facing a lot of trouble we the whole customer service term are forwarding your complaints to certain departments but its service center fault..dont blame on us..we work for Tata business support where we take care of IFB customer service.... we get lot of frustation with irate customers but we have no choice to just accept and say sorry thats it its our duty thats it.. Mine is Elena 5 Kg model. Purchased before 5 years. Now it has started giving trouble. AUTHORIZED SERVICE CENTRES ARE FOR NAME SAKE. We dont know how it is operated. You go on brand and expect good service but the level of after sales service is third grade. ifb washing machine is the worst one.And their service also very poor. i can't even give one star for that.the service centre will give us mental pressure.PLEASE DON'T BUY IFB PRODUCTS.IF YOU BUY IFB PRODUCTS DON'T CHOOSE THE IFB SERVICE CENTRE. dont buy IFB products, very bad service. horrible service frm IFB. Dont go by brand name ,service centre technicians are worse, are incapable.not trained at all.if you buy their products you are pouring your money in the bin even if a small repair comes they will make u run around . 6 months before buy IFB washing machine up to now three times problem now again one week before problem.every day call IFB service manager but response not good.so if any body buy washing machine pls choose best company. I have purchased the IFB-6Kg-Digital Dx SX -FA machine, at the time of purchase it was claimed that it covers 100% warranty for 4 years, but after 15 days of purchasing, I came to know that all this claim was a cheat. They are telling this to cheat the customers. Although,the rubber parts are very very expensive, even if you pay for those rubber parts there is no guarantee for even a day from the company. Once you purchase the product from IFB then the company will start extortion. You have to pay extraordinary high cost for the parts even if the machine is under warranty or you have to throw the product in garbage. I am at Hyderabad purchased a washing Macinge of IFB at visakhapatnam, After few years I got problem of IFB w/m, one local franchise of Hyderabad (AJS) is behind me for AMC, on the next day after getting AMC they transferred my call to another useless Franchise ( HADWIKA ASSO), their mechanic charged for a spare later found a locally repaired MCU which stopped working after 5 washs. Once again I logged a call , the same story , Now the mechanic from AJS changed the MCU, said that the timer gone faulty , replace it by tomorrow, when I called him on the second day he replied that no spares of Timers , will be attended as soon as they are available since one week no one turned back. This is my bad experience and suffering with IFB for the past few months. I PUCHASED IFB WASHING MACHINE ON JUNE 6TH 2012,AFTER 15 DAYS ,IT CAME PROBLEM IN DOOR SENSOR .I COMPLIANTED IMMEDIATELY TO HYDERABAD OFFICE. THEN THEY SEND THEIR LOCAL SERVICE PERSON . HE TOLD THIS IS THE DOOR PROBLEM WE WANT TO CHANGE THE DOOR . WHEN THE SPARE PART COME FROM HYD WE WILL CHANGE. ifb industries promises that they will provide service within 24 hours but they take more that 36 hours to solve there issue. if they can't achieve the 24 hour target then they should change it to 48 hours so that they fulfils there promises. Dont buy IFB wachine machines. My suggestion is not to buy IFB wachine machine. They are very very poor in service. If you want mental peace & to avoid harrasment, then I appeal all the customers that don't purchase any product of IFB Industries i.e like Washining Machines etc. If you purchase the product then I assure you that you will repent in future about your decision. As earlier I have lodged my complaints or grievances about the IFB w/m. The magmt of IFB should react at least now, & do something to satisfy the customers who already owned ifb w/m. As well as they should also directly monitor the franchisee so that the repairs or services are attended completely to gain the consumers confidence. i have purchased a washing machine on 23.10.2011. todau is 01.11.2011no one came to show the demo. i have made almost 20 calls to the dealeran number of calls to sales rep.
i am sure after sale services of IFB is very poor. I have lodged the complaint since 4 days & still waiting for washing machine service technician. T think, management must have to look into matter. I had problem with washing machine from last 2 month.I am very much disappointed with IFB who is leader in WM . I can help others not in trouble by buying IFB WASHING MACHINES. It is learn't that IFB service technicians or after sales service is not serious about the consumer grievances. In spite of repeated requests & complaints all went to drain or vain. Hence I request all the customers/consumer for IFB to note that after sales service is pathetic to the worst. In spite of repeated complaints till today there is no response from the IFB service personnels. I have gone through all the bitter experiences shared by my respectable friends.According to me,they committed only one mistake thereby writing so high about IFB and the after service they offer.IFB folks are not even worthy of it.Whatsoever company or sector it may be,"if the after servicing isn't excellent,please do remember that the company is breathing its last breath". The authorized franchisee's so called illogical fools called as "Technicians"don't even make use of .01% of their brain.Let us forget the fact that they are technicians,can't they use at least their minimal brain in this regard.Please don't punish us for the simple reason of purchasing the IFB product;and that too i believe that we all have committed the biggest blunder .Sales is not only the success of a consumer company.Whatever you have gained as profit might doom because of your ill-treatment.Please take my word for that matter. Seeking for seervice but no body responding. I have basic model Elena 5kg washing machine, which have developed some problem while at spinning, which I took to the notice of the authorised service personnels. I gave a complaint on 9th March,2011 & on 19thMarch,2011 in the they called up & told that we would like to take the machine to workshop for repair whereas no technician has turned up to check the problem & that was the reply they gave. When I insisted them that let the technician come & chek the problem, give his version but till today nothing has taken place. this is tbe after sales services provided by the IFB organization & their franchises technicians. I have AMC with them for 2 years. We buy equipments to help us & save our precious time but not to keep them as antique piece. Is there some one to look into this & do the needful to the customers at the earliest. Before COMMENTING this matter in the system I try & reached to the local authorised service centre @ tarbund but all went in vain. If any serious & responsible person concerned can take up this issue & resolve it. Pl. reply to me at the earliest. today nobody has come to repair the machine.Can something be done aboutit? Is there any point in writing complaints when after repeated complaints no action is taken.Service is getting poorer day by day. I am using the machine for last one decade renewing AMC regularly. The service mechanics call on us only at the time of renewal. No regular visits by them for periodical check up. They will call on us only when we report a problem. Last September at the time 0of renewal of AMC the mechanic advised to install one AQUA at a cost of Rs.1800 for purification of water. When I called forservicew the mechanic whio visited now says the AQUA is not working to replace it. I did not agree and lodged a protest. Another m,echanic who visited said there is no need to have the AQUA. I could not understand. The water position remaining the same and the quality not improved as the Chennai Corporation supplying the same quality of water, how suddenly the mechanic felt it as redundant. When I telephoned no one is responding. No one gives a proper though not satisfying reply. IFB Management is totally unconcerned or are utterly incompetent or both. With such comments from so many people, why have they not been able to rectify the situation for so long. Someone needs to take these callous and fraudulent people to task and sue them in consumer forum and I think I will. It is fraudulent as every promise is not kept up. Information given 9 THAT IS RIGHT NINE times about arrival of or availability of spare parts have been denied by someone else the next day and the harassment continues unabated. Or is it because the company is HQ in Kolkata where labor rules and customers can go to hell? This is shameful for a 21st century modern appliance company so say the least. I will do all that I can do. Send an email to all my friends NEVER to touch another IFB appliance with a barge pole. They should realize the power of viral marketing soon. VERY POOR SERVICE BY IFB WASHING MACHINES. It really pains me to see the state of affairs in case of service offered my IFB .I LODEGED A COMPLAINT WITH IFB CALL CENTER SOME 10-15 DAYS BACK.I WAS PROMISED SERVICE WITHIN 24 HOURS.BUT INSPITE OF REPEATED CALLING NOBODY TURNED UP AND SURPRISE,I GET A SMS SAYING THAT MY MACHINE HAS BEEN REPAIRED.I HAD TO CALL AGAIN WHEN I WAS TOLD THAT MY COMPLAINT HAS CLOSED AND NOW A NEW TICKET NO. WILL BE GIVEN TO ME.I THINK I MADE A GREAT MISTAKE IN BUYING THIS MACHINE. I AM HAVING IFB DISH WASHER FROM2001/2002. THE SERVICE OFFERED BY IFB IS VERY, VERY POOR. THOUGH THEY CLAIM THESE WILL BE ATTENDED WITH IN 24 HRS. THAT IS ON PAPER ONLY AND THEY CREATE RECORDS WITHOUT ATTENDING TO THE FAULT.HOWEVER MUCH YOU FOLLOW THEY DIDNT CARE.ANY PURCHACE FROM THEM HAS TO BE WELL THOUHT OFF. I have purchased ifb washing machine one year ago,from past six months heavy noise of metal rubbing is coming in while spinning. I have complained thrice to customer care but no response from servicing persons. pls look into my complaints .my number is 09448024706.
i bought an IFB fully automatic washing machine almost a couple of years back on an extended warranty for two years . I have since then faced umpteen problems starting with timer, rinsing, drying,incomplete n dirty washing and so on...After repeated complaints , technicians visit but the problem recurs ..Now the warrantr period is about to expire n i am at my wits end! Despite such a heavy investment , satisfaction seems to be far fetched..
Kindly dont make a mistake in buying worthless IFB washing machine.. We are daily chasing after service engineers to repair our washing machine.. Our time and money is wasted. Those service engineers do not respond to our call properly. if you are really a smart person . dont buy this machine.. its just a stupid box.. Absolutely non-feasibile technology for India i.e.front load. The IFB-Bosch machines were good. But now the IFB washing machines should not be called washing machines. I bought the IFB Senator - the result of washing was that my White clothes became grey & the coloured clothes got faded. The problem, while the wash phase it takes the detergent - it hardly takes any water and keeps on tumbling away to glory...so basically you are washing your clothes in hardly any water just dry detergent...so all the dirt settles back in the white clothes & the abuse makes the coloured clothes faded. 3. If they give a time, they will come 5 hrs after that. Normally after 7PM. 5. intellect level - lower than your local dhobi. Service engineers - intellect level - just measure the detergent - boil your clothes at 60 degrees - do not know how to examine the machine or check if it is doing it's basic work properly. They never come on time. The sad part is that - once you have bought the product, you can sue them for giving you a defective item or have this horrible behaviour publizied so that others are not dupped. I have frankly lost all the money i put in this washing machine - and i have employed a local washer woman to wash my clothes. My bill no is ban-009867, please send some engineer to repair this poor quality metal box, this is my last and final warning else i will lodge the complaint at www.consumercourt.in, Miss pooja is a big layer in your customer care, she never give me the right answer ever. Waiting for your slow action. I am a retired Engineer, well versed in Maintenance. I live in Hyderabad. My complaint is IFB has sub-contracted their repair works to not so well trained people. If I need a spare part, I do not know whom to approach, as the customer care centre's responses are not encouraging, to say the least. Can someone help with a blown-up figure and a PARTSLIST. The service is atrocious. The technicians are incompetent. The response is poor. Two weeks already since our two-year old machine started giving trouble, and no light at the end of the tunnel. A machine that should be never bought. I had problem with washing machine last month and I registered complaint they send technician after twenty days which are not the right persons to rectify the problem of the machine. Still the problem is not solved.I am very much disappointed with IFB who is leader in WM . I will compaign this issues with my friends and also with collegues who all are spread over INDIA telling not to buy IFB WASHING MACHINES , which I can help others not in trouble by buying IFB WASHING MACHINES. I INTALLED MY W.M IN ALLAHABAD ONE YEAR BACK,W.M WORKS FINE FOR 6 MTH AFTER THAT IT START HANGING AT 39 OR 19 MIN N DID'NT WORK AFTER THAT I CALL MANOJ SRIVASTAV SEVERAL TIMES EVERY TIME HE GAVE SOMEONES ELES NO. N THAT NO. NEVER RESPONDED EVEN CUST. CARE NO. ALSO HAVE SOME PROBLEM. i am very disappoint to purchase IFB product, if i know IFB have no experienced executive and neither good Customer care service then i dont go with IFB. Don't get into a trap. Its the worst business house I have encountered till date. A pathetic state of affairs, as far as the service is concerned. Extremely high recommendation to boycott all products from IFB. Pathetic customer care and pathetic service.. so pissed off. i will neveer ever buy one from them anymore.. I Purchased a washing machine and later entered into the AMC with IFB on 15.11.2009 and paid Ra 1955.00 vide ch no 850104 , Canara Bank Sainikpuri Branch which was releasied on 02.12.2009. Till the time they wanted the payment they visited my premises and made all sorts of promises as generally done by the marketing guys. After releasing the payment there was no visit by the service engineers for the repair of the machine and upon calling the customer care no action has been taken yet. They infact told that the cheque might have bounced which I proved by showing the passbook but still bo action has been taken yet. If you people do not want to do the service then I request you to refund the above amount immediately and shut the business. I live in Delhi and have an AMC with IFB and complained at the number given in AMC form when the machine stopped working. The workmen came the next day and diagnosed the cause to be a motor fault saying they will be back next day as the motor needed to be replaced. This meant that one day of office work was already lost. However, they did not turn up next day and on calling number 25776208 we were told that the motor is not in stock. On insistence that we be provided with a motor as soon as possible as we had already taken a day off to attend to the initial visit, we were told to dial another number 9999692170. A lady called Ankita at this number told us the same story, that a motor is not available but that it will be changed the next day in the morning part. When it did not arrive this morning, meaning third day of waiting for the workman to come and set the machine right, we rang this number repeatedly till it was picked up. We were again told that the motor is not in stock but she will see to it that it will be done today itself. Now it is 7.15 in the evening and I have to take a fourth day off tomorrow, hoping the workman with the motor will come. No, It was a good company, now seems to be fully screwed up, no repair offered in time. No contact number at state or all India level to air your grievances. - March 22nd (Monday) - Call to call center, complaint: drum of washing machine not rotating ; Answer: Your complaint will be attended in 24 hours. - March 28th (Sunday) - Technician comes without prior information and determines that the belt is broken, but has no spare parts and promises to come back the next day. Informs that the belt does not fall under warranty and cost 585,- Rs. - April 2nd (Friday) - Call to call center: informs that the complaint has been closed on April 1st (April fools), makes a new complaint, gives the number of the service center responsible... nobody picks calls there. - April 5th (Monday) - Call to call center, complaint: drum not rotating, previous complained closed without solving problem, nobody bothered ; Answer: Your complaint will be attended in 24 hours. - April 7th (Wednesday) - Reached the service center, tried explaining the story, there nobody wants to listen, dropping calls. - April 8th (Thursday) - Technician comes without prior information and determines that the belt is broken. but has no spare parts and promises to come back the next day. Informs that the belt does not fall under warranty and cost 585,- Rs. Today is April 9th, the washing machine is still not working and I will not be surprised, if the call center tells me next time when I call that the complaint has been closed......endless story! I had an IFB Neptune dishwasher which I bought in 2005 and has had recurrning problems. It finally stopped working in December 2009. I called in the local agent for fixing the same. After several phone call reminders from me and two visits by them, they decided that they needed to order a part (a filter of some kind). They got the part in about a week's time and fixed it -- only to find out that it did not fix the original problem. Hence, they decided to pick up the dishwasher for repairs in the service center. They picked it up on January 4th 2010. They promised me that this would be returned in 2-4 days. It is now 6 weeks (!) and I have not heard anything about the dishwasher from anyone. When I call anyone, I get empty promises on returning it in 2 days. Twice, someone from IFB called me to find out if they could pick up the dishwasher from my home -- clearly showing that there isn't even a clue what is going on and where my dishwasher is. At this point, I am giving up on getting this back in any course of time. The quality of the product (which is oh-so-fragile) combined with the utterly inept service has created in me a forever unforgiving customer who will evangelize that IFB stands for "It's Fricking Broken". To top it, they sold me an annual maintenance contract which has just been more money down the drain. I complined for not working the IFB Washing machine dueing the month of April -2009, Service person came and rectified the fault, and said your washing machine is a problem and put a AMC after three months we replace the machine without cost. I also paid services and Join the AMC. After three month no one will come. We also not called due to work. Now for the month of Jan-2010 some other problem we complined, service person came rectify the defectt. We approch what about the machine he was told the machine is perfect, only rubber bush is problem, rubber bush is not covered under the AMC so pay Rs. 700/-. Whar under stand this previous service person willfuly say the machine problem and join he AMC and collect the money. After that they never came and replace the machine. Such a Big company give the wrong information and collect the AMC money. The company will take care of this type of problem and do the customer satisfaction and give the true picture before go to AMC. Once you purchase an IFB Washing Machine, the Customer care persons of IFB are least bothered about service. When you try to contact any officials, they try to pass on the bugs and you will spend lot of money for these calls and result will be zero. IFB must be pulled to Customer Court by every suffering client and should be taught a lesson by charging the Company a heavy amount as compensation to the clients. I tried to contact the person, who came for demo on first day with lots of hurry, since last two days he is not even picking the phone, However he had commited to came to my home on sunday also now it is second day is passing but no respond getting from that guy, and my machine is not in use so far we spend 20000 rs. Noone attend my washing machiene. Me, Mrs. Subhamita Biswas (address : Dakshin para, GIP colony, Jagacha, Santragachi, Howrah -711112, W.B.) have a IFB fully automatic washing machine. I purchased this machine on 8th December, 2007 and its now under extended warranty period. For last one and a half month, my machine is not working. I repeatedly talked to your customer care executives. And they sent the mechanic on second week of August. The mechanic said that he needed to change one of the part of my machine. He took that old part and told me he would come again on third week of August and fixed the new one. Since then nobody came, no phone calls from IFB, nothing........ I again put a docket (for the second time, on 22nd August, 2009, docket no. 3403185). I called IFB Concern Department, IFB Branch office for atleast fifty times. But none of them gave me any feedback. I am so frustated. Even I emailed to the customer care dept. But they only send me a formal apology. And then again a big silence............ Now I just want to sell this machine which occupy a large space in my room. For last six years, my family is using IFB washing machine and we have three machines in total. I always get very prompt service from your division. And I am also satisfied with your service all the time. But this time, my impression is totally changed. Its really very frustating for me. You know without washing machine for one and a half month, life is became very very tough. I am a working person, have a patient in my house. I am still waiting for the feedback. My IFB complaint number is 3256591 and i had registered the complaint on 15 jul 09.No one attended the complaint till 18 of Jul and when technicians finally came they said that the drum needs to be replaced and for that demand needs to be placed. So they noted the specifications and said that it will be done by 21 of Jul 09.I waited patiently till 23 of Jul but their was no response from the IFB service centre. On 24 Jul I called up the Toll free number and they said they will look in to the matter and in the mean time u can call up their local office and speak to Mr Vijay mob no 09886240794, LL No 22713053.On speaking to Mr Vijay he said that the part is not available, I asked him that at least some body should have communicated to me about the delay and its over 09 days since I have registered my compliant. He asked me to speak to Ms Poornima available on 080- 30585160 about the delay. I spoke to her and she said that the part will come by 27 Jul and will be positively done on 28 Jul 09.No body turned up on 28 Jul and I tried to contact Ms Poornima on the same number again but she avoided talking to me. On wed 29 Jul I again called up Ms Poornima and now she promised that the part has come and it will be positively done by evening hours of 29 Jul but nobody has turned up till now. I am having an AMC Policy number 12455 and using the IFB washing machine for the past 10 years. I am an Air force officer and have got posted to various places in India include remote paces in Assam and Rajasthan, but even at those places I have always got good support from IFB services.Presntly I am posted at Bangalore and this kind of poor service response from a reputed company like IFB is not expected. More so there is no urgency shown by any of the servicing personnel to attend the complaint. It is requested that the complaint may be attended at the earliest and suitable actions must be taken to curb this kind of lackadaisical attitude. Awaiting a prompt reply and a quick rectification of the complaint. I live in Kannur and kannur office will take their own sweet time. CUSTOMER because of your Technician mr VIJESH a through professional. This is a good example how to convert a complaint to a compliment. behalf and from your side as well. We purchased an IFB washing Machine, nearly 8 years ago. we now require the bearings to be replaced. We are enquiring with the service people at Visakhapatnam, A.P. for help, but no responce since 4 months. They give an SMS and afterwords no reply. this is really horrible. very much disappointed by their irresponsible attitude and have finally decided to move the consumer court in this regard.